After completely emptying your room, remove any old floor coverings, nails and anything else that is attached to the floor and then give everything a good vacuum and clean. Basically, you want an empty clean surface to start working from. Does The Room Have To Be Completely Empty? Ideally – yes. The big drum sander that you’ll be using is really bulky and you really need space to move around the room easily. Having said that, when we sanded our dining room floor, we did leave our blue sofa and sideboard in the room because we just didn’t have anywhere else to put them. We ended up completely sanding one-half of the room and then moved the sofa over to sand the other half of the room. Of course, it wasn’t ideal, but it wasn’t awful, either. My Floor Is In a Poor Condition, Will It Still Look Okay When It’s Sanded & Finished? Probably. Don’t get me wrong, if all of your floorboards are rotten and you have big holes everywhere, even the best sanding job isn’t going to make it look good. Having said that, our kitchen floor looked absolutely awful, but after replacing a few of the rotten floorboards and giving everything a sand, it’s actually not turned out too bad. 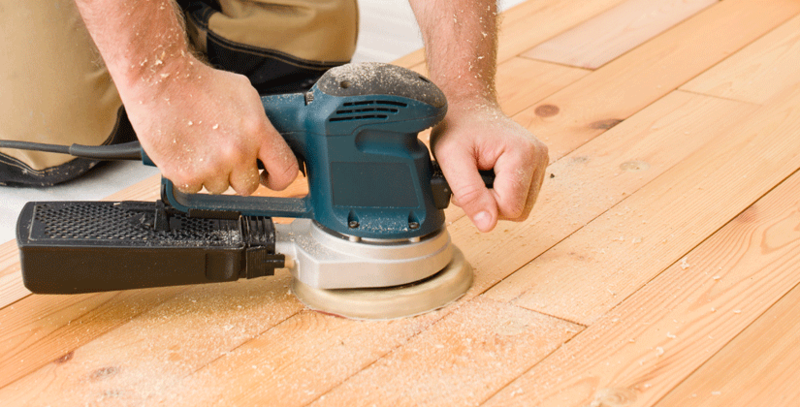 Basically, you will need a belt sander to sand wood flooring. The hire shop will give you what you need and show you how to use the machines. No need to worry though as it was really simple! Is There Anything Else I Have to Prepare? Do I Really Have To Punch Down Every Nail Before Sanding? In our opinion – no. Of course, you can’t have any nails protruding out of the surface, but we didn’t find it necessary to punch down the nails at all. I should point out, that this isn’t recommended and you will definitely have to be careful with your sander, as it can catch on a nail and rip your sandpaper or worse, damage the machine. The floor sanding company that tackled our living room floor also didn’t bother with this step. How Much Sandpaper Will I Need To Sand a Floor? Switch your sandpaper regularly – it’s definitely something we learned the hard way. 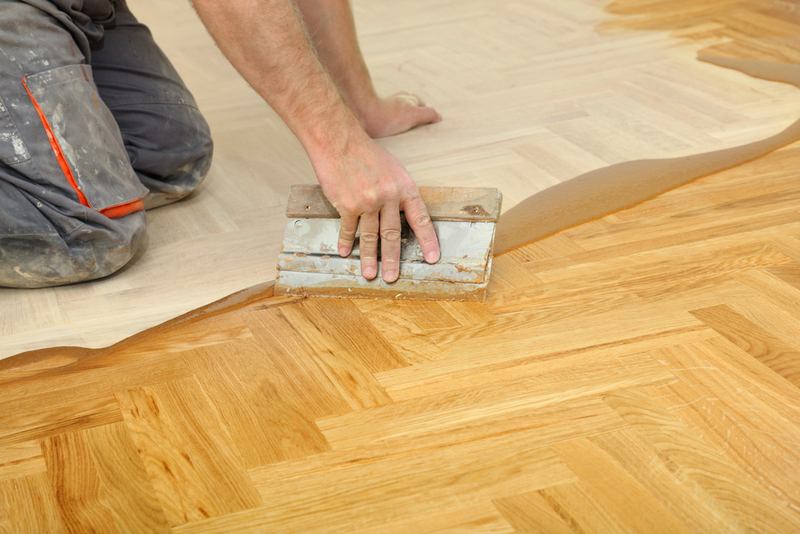 The more frequently you switch the paper, the faster you’ll be able to sand the floors. Don’t underestimate the amount of paper you will need, either. When hiring the machine you buy the paper, too, but usually, you can return any surplus. You don’t want to run out of paper, especially if you’re working at the weekend and can’t get hold of more! For the large drum sander, we used about 12 sheets of 24 grit, 8 sheets of 40 grit paper, 8 sheets of 80 grit paper and 5 sheets of 120 grit paper. For the edging sander, we used about the same amount of each grit again.